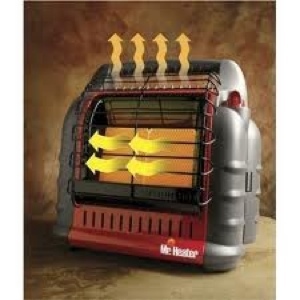 For those looking for a great emergency heating source this winter, check out the Big Buddy Heater by Mr. Heater. To give you some background, my house is currently heated by a pellet stove. Even though it’s very efficient and heats the house nicely, the obvious issue is that it doesn’t work if there’s a power outage. As a backup I do have a wood-burning stove that I could install if there were an extended grid-down situation, but I wanted to have something that could be set up quickly and easily for short-term emergencies as well as a temporary solution until I would need to install the wood stove. 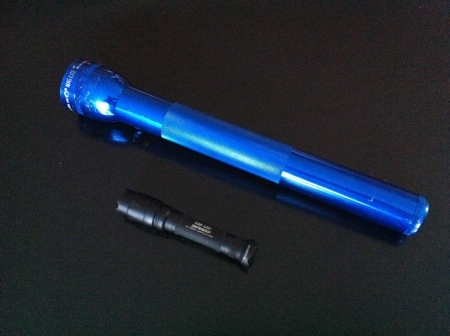 Out of the box, the Big Buddy sets up very easily. 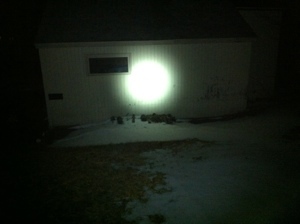 It’s a simple matter of hooking up two disposable 1lb propane bottles (the ones that are typically used for camping applications) on either side of the heater, turning on the pilot light and firing up the heater. 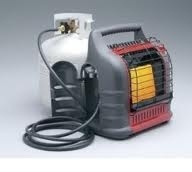 Along with the Big Buddy, I also purchased a propane-tank adapter and hose. 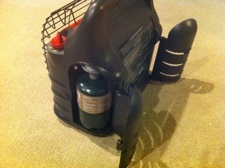 It actually accommodates two hoses to be fitted to the heater, allowing you to hook up two 20lb (or larger) propane tanks. The obvious benefit is extended run time. For example, two 1lb bottles will give you around 3 to 12 hours of heat (depending on what setting it’s on), whereas the two 20lb propane tanks last for 50 to 220 hours (again depending on the setting). If you’re considering purchasing one of these hoses be sure to read my recommendations below. Since I haven’t had this heater for that long I haven’t been able do any extensive testing but my initial impression is that this heater seems to put out a good amount of heat. There are 3 heat settings — low, medium, and high — which give off 4000/9000/18000 BTUs respectively. With last night being in the early 20s (Fahrenheit) I thought I’d test it out for a few hours; so I ran this in a medium sized room (around 200 square feet) and it kept the room at a comfortable 73 degrees. 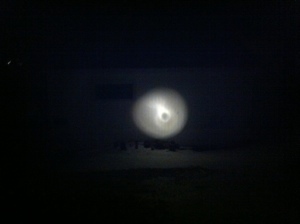 Propane Fueled: Propane is one of the most stable fuels around. 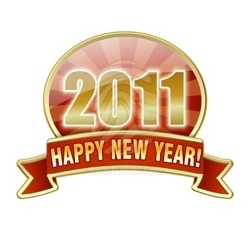 The great benefit of that is that it will store for many years without degradation. 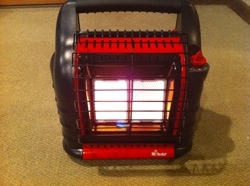 Portable: Since this heater is lightweight and can be carried quite easily, it makes for a great bug-out heater. 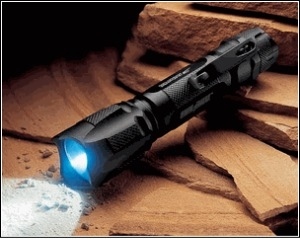 Also, it simplifies moving it around in different areas of the house in an emergency situation. High Heat Output: With a maximum output of 18000 BTUs, the Big Buddy puts out a lot of heat for such a small unit. It easily fits my requirements for an emergency heater. 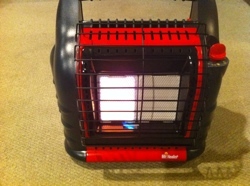 Can Be Used Indoors: For the most part, this heater is safe to use indoors. Even though the heater comes with a low-oxygen sensor that will shut the unit off if the sensor is activated, I would still recommend using a Carbon Monoxide alarm in the area where you are running this heater. No AC Adapter: I don’t understand why they don’t provide the power cord for the blower fan. Instead it’s another “accessory” that you have to shell out money for. What a waste. The most common issue I’ve read about that people have found with this heater is that the regulators and control valves get clogged when running a 20lb tank. As one reviewer mentioned, this can be avoided when you ensure that you always shut the tank off first, then let the heater run until it burns off all the fuel in the lines. If this procedure is not followed, the high PSI coming from the propane tank will get trapped in the accessory hose causing it to chemically react with the rubber and leech out an oily residue. This oil will clog both the regulator and control valve essentially ruining your heater. In case you happen to forget to follow the above procedure, I highly recommend you purchase either the gas line filter that will catch the oily substance or a hose that comes with a regulator which lowers the PSI and prevents the chemical leeching (this is what I did). Place an all metal pan that is around 9″ (can be square or circular) in an oven and preheat it to 450 degrees Fahrenheit. In a large bowl mix the powdered eggs, water, milk, and flour until it reaches a smooth consistency. If you use the butter, pour mixed butter into preheated pan and immediately pour batter mixture on top. 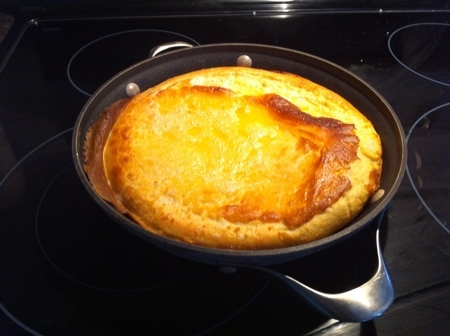 Cook for around 20 minutes or until the pancake is puffy and the edges are a nice golden brown. Enjoy with syrups, fruit jellies, or powdered sugar.